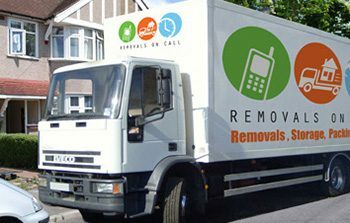 a) Know What You Need: Before you even start searching for a removals London service, assess what exactly you will need. Information such as whether you need a single or multiple trips, do you need your boxes packed and unpacked for you by movers, how much furniture is involved, how many rooms are to be emptied, and what dates are possible for you is essential. Shop around only after you have a full assessment of what you need to obtain the most accurate estimates of cost. b) Ask Around: If you have any friends or family who have moved recently or could put you in touch with someone who has, ask who they recommend as a London removals service. Word of mouth is an excellent way to learn about London moving companies. c) Explore Your Options: You can also search online for moving companies which come most highly recommended. You may want to call or visit these companies yourself to get a sense of their level of services and customer service. Be sure to inquire what services they offer, how rates are calculated, and what their insurance policy covers. Remember to make note of the courteousness, professionalism, and knowledge of moving company representatives, as that can indicate the quality of the removals London service provider. Keep Valuables with You: Do not pack your valuables, including documents. Keep them at hand. Though we recommend using professionals to pack your household items, should you choose to pack yourself, it is essential that you pack your items correctly to prevent damage and breaking. a) Dish pack box: This is the strongest and thickest box, which should be used for electronics and lamps. Amplifiers should be placed at the bottom of the box. b) Bubble-wrap: For anything fragile and breakable, except lampshades, wrap it securely in bubble-wrap before placing in the box. Pictures should be wrapped in bubble-wrap. Wrap items individually: Items inside of other items, such as microwave plates, should be taken out and wrapped separately to prevent breakage.